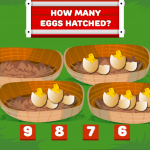 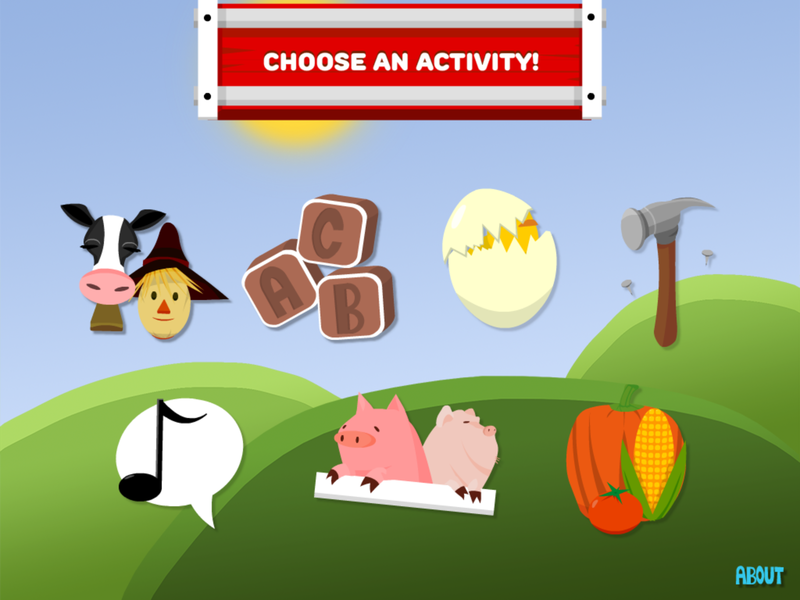 Have fun on the farm as you explore and help out in 7 learning activities. 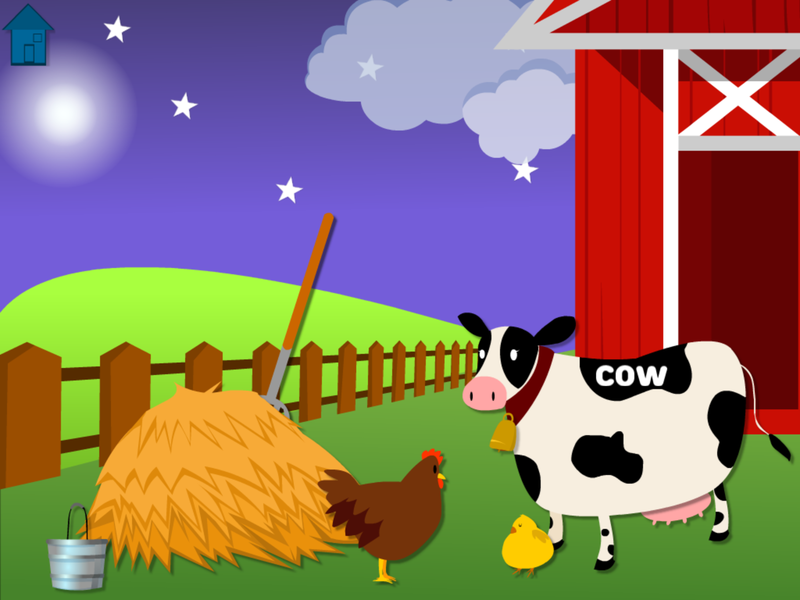 This interactive educational app teaches counting, letters, colors, vocabulary, ordering by size and matching shapes using engaging animated art and sounds. 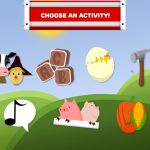 Touch and learn about names of things found on a farm (2 scenes). 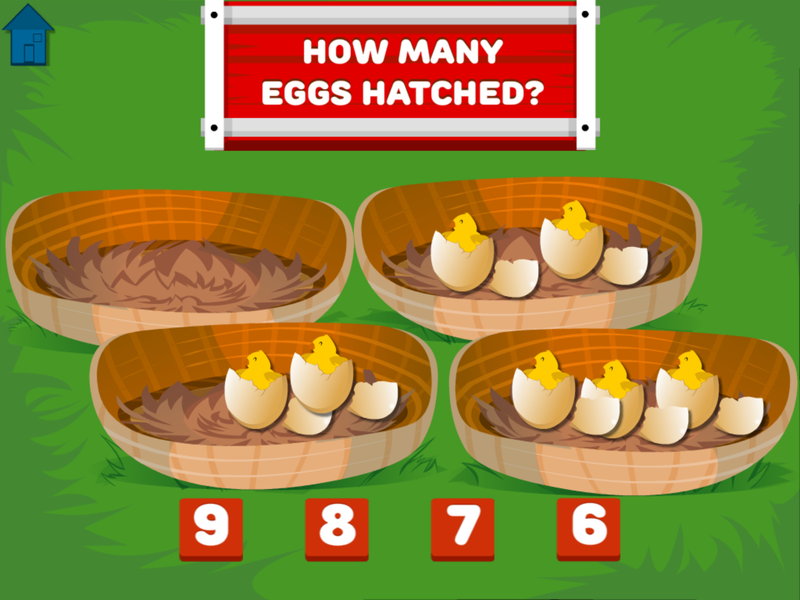 Hatch eggs and count the chicks. 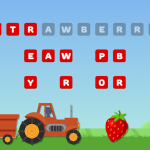 Organize fruits and vegetables by color. 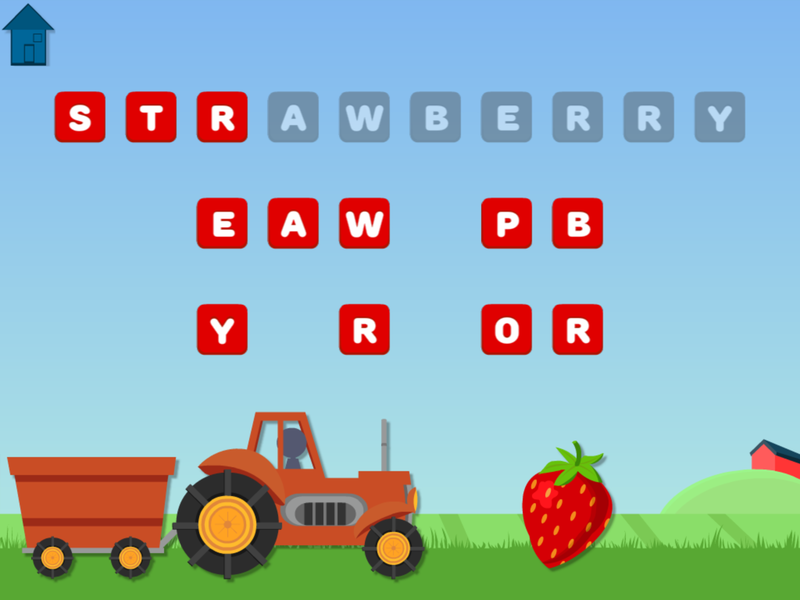 Spell the names of different fruits and vegetables to help the harvest. 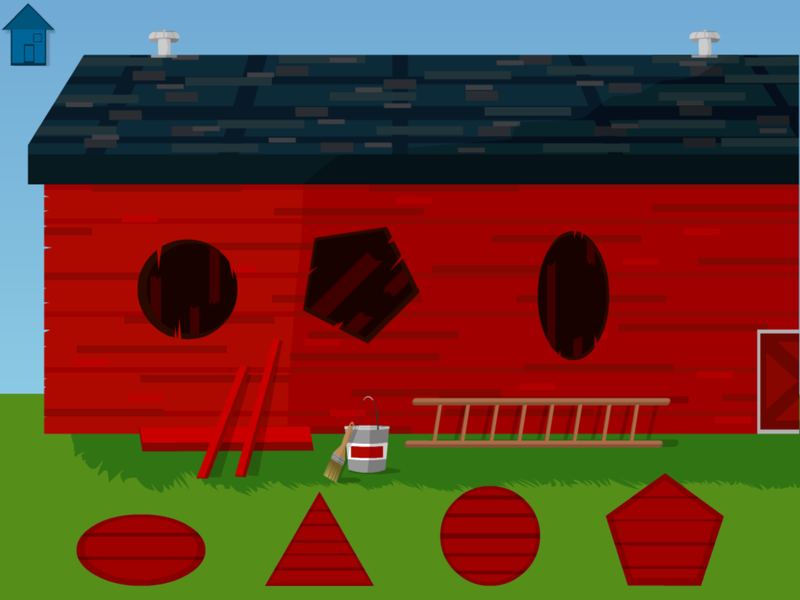 Repair the barn using matching shapes. 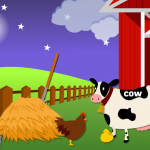 Match animal pictures with the sounds they make. 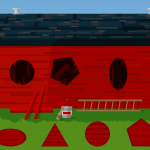 Sort the pigs by size.